Draguns Landscape Supply - Cranberry, Wexford and Pittsburgh. Your Neighborhood Landscape Supply Destination! Beautify your yard and landscape with our wide range of our landscaping materials. From the finest topsoil, color enhanced mulch, and nutrient enriched compost to patio pavers wall systems, Dragun’s has everything you need to complete your landscape projects. We have a vast array of textures, colors and styles available. 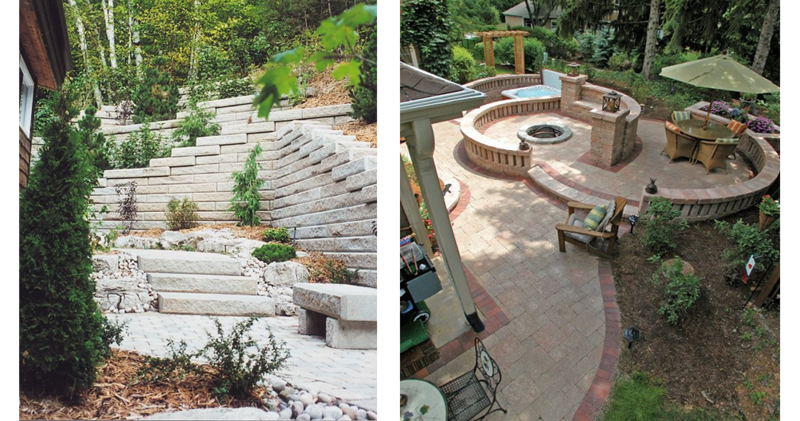 Our products provide function and a lifetime of beauty to complete the toughest of landscaping challenges. 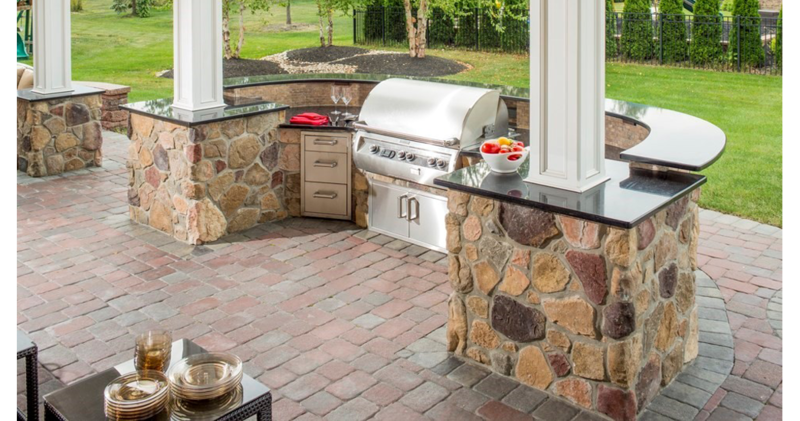 Dragun's Landscape Supply has the lowest prices, widest inventory, and largest displays in western Pennsylvania. 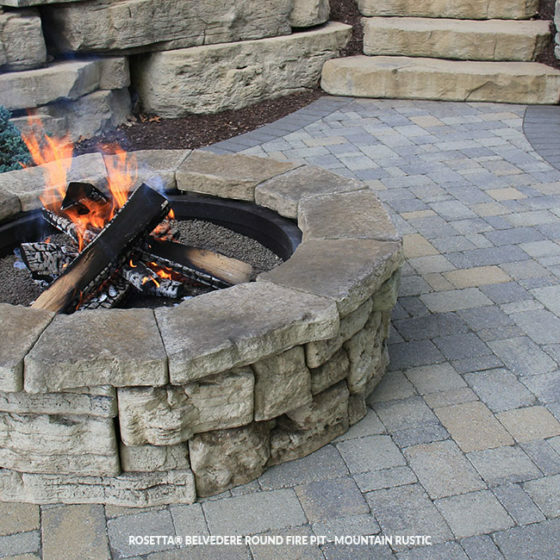 A "hardscape" such as pavers or wall systems — with a vast array of textures, colors and styles — provides function and a lifetime of beauty to the toughest of landscaping challenges. 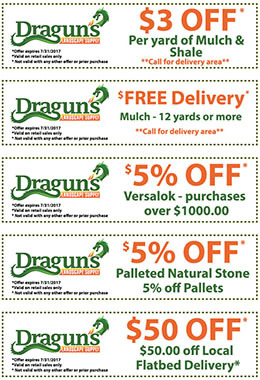 Dragun's Landscape Supply has the lowest prices. Call or stop in to see what is available or view our wall and paver products. 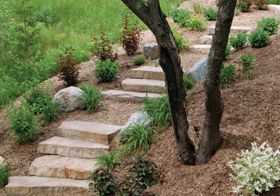 There are many creative ways to add natural stone and gravel into your landscaping environment and many materials from which to choose. Create a pathway, build an attractive edge — natural stone and gravel creates color. Give the softscapes in your landscaping the foundation they need to grow and thrive. Your soil is one of the most important factors in successful landscaping. Using mulch not only beautifies but can improve the quality of your soil, prevent weeds and reduce the need for water. See more details about our Mulch, Soil and Firewood products. 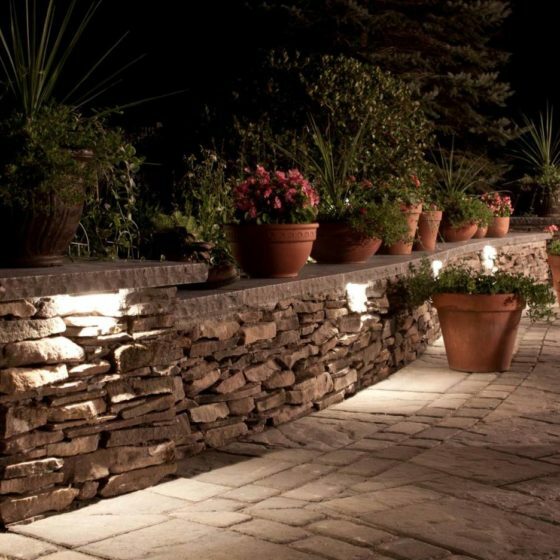 Take your project to the next level with our professional hardscape lighting solutions. Adding energy efficient LED aand Xenon lighting to your walls, steps and walkways, brings an entirely new atmosphere to your home landscaping extending use into dusk and beyond. Lighting is descrete while still providing function and safety especially on steps. Lighting is a great addtion to your patio and pool areas for that magical effect. 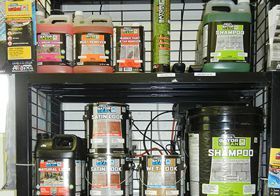 Dragun's offers a wide variety of selection with accessories ranging from lighting, adhesives, splitters to seed and soil mix, edging, tools and additional landscaping supplies. Saving money is typically the goal of the do-it-yourselfer. We offer many tools for rent and advice to help you get the job done right without investing in a tool you may only use once. Our friendly staff can advise you and answer questions about your project. We have two locations, open seven days a week during spring, summer and fall, to serve the greater Pittsburgh, Wexford / Cranberry Township and Butler County areas. Our educated, friendly staff is ready now to discuss product details, provide design assistance and schedule fast delivery. Click to print and view our coupons. One of the most popular products at this time of year at Dragun's is mulch and we can fullfill your needs. 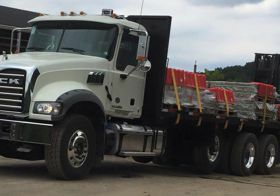 We carry double and triple shred natural mulches, double and triple shred dyed mulch, rubber mulch and certified playground mulch all in various colors. Mulch is sold by the cubic yard for pickup or delivery with a four yard minimum for local delivery. Check out our Soil, Mulch and Firewood pages for details! Dragun's a wide variety of accessories ranging from lighting, adhesives, spitters to seed and soil mix, edging, tools and additional ladscape supplies. 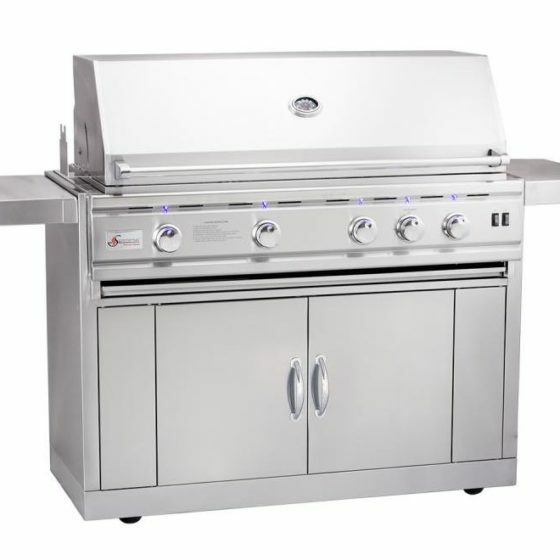 We also rent various tools to help you complete your project right the first time while saving on the cost. Need a block delivery on a Saturday or Sunday? We've got you covered! Call 412-635-8441 for our North Pittsburgh location or 412-939-3675 for our Pittsburgh location. Visit our Delivery page for details!